If you'd like to try it out, here are the steps I took in order to get it up and running. First up, if you haven't already, download and install Processing. Once installed, Processing creates a directory in your "Documents" folder. This is where our sketches and libraries will be placed. Run the sketch. You'll now need to perform the old "Freeze or I'll shoot calibration pose. 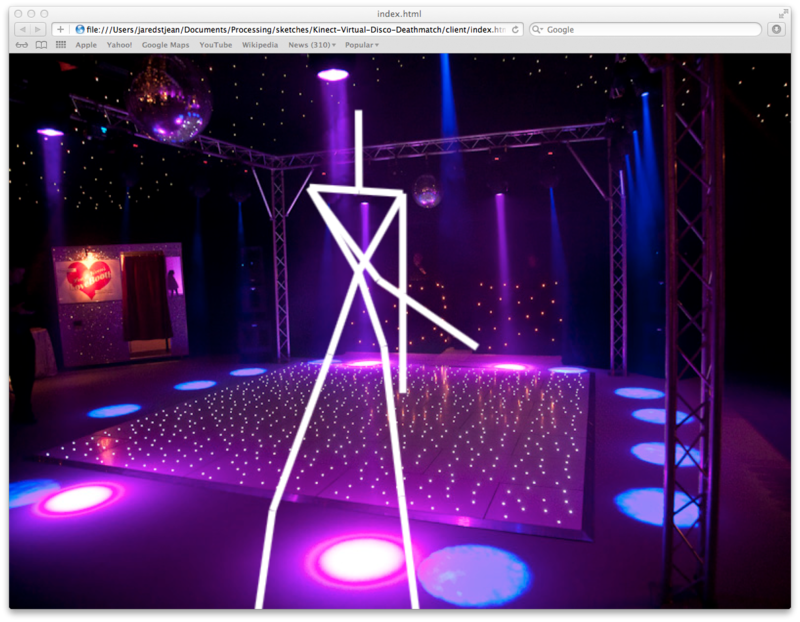 Situate yourself and your competitor far enough away from the Kinect so that you are both clearly visible from your head to your feet. Tracking should be initiated shortly thereafter. 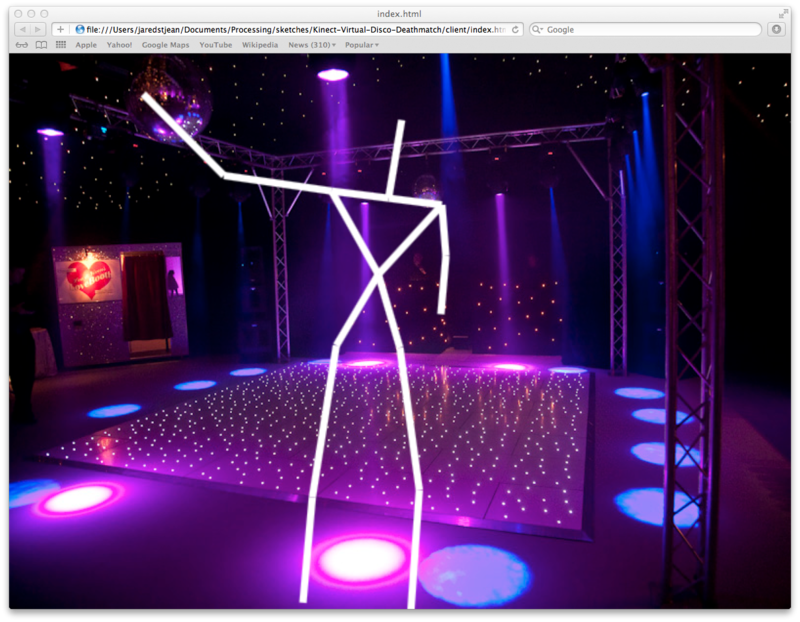 /sketches/Kinect-Virtual-Disco-Deathmatch/client/index.html - Open it in browser that supports HTML5. I guess that's a warning to those who use IE as their default browser on a Mac -- shame on you by the way if you exist. You should be ready to bust a move at this point. To initiate the game, have both players place their hands on top of their head. A score counter should appear in the upper left hand corner of the screen. Match the description of the positions to earn points. Highest score wins. If you run into any problems, feel free to drop a comment below. For those of you that got it working, enjoy!